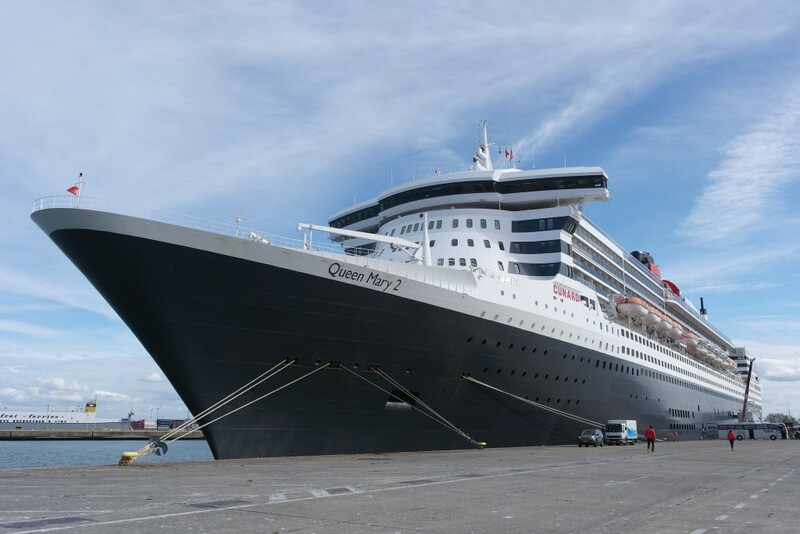 Sunday october 5th 2014 Cunard’s Queen Mary 2 visited Zeebrugge (Belgium). 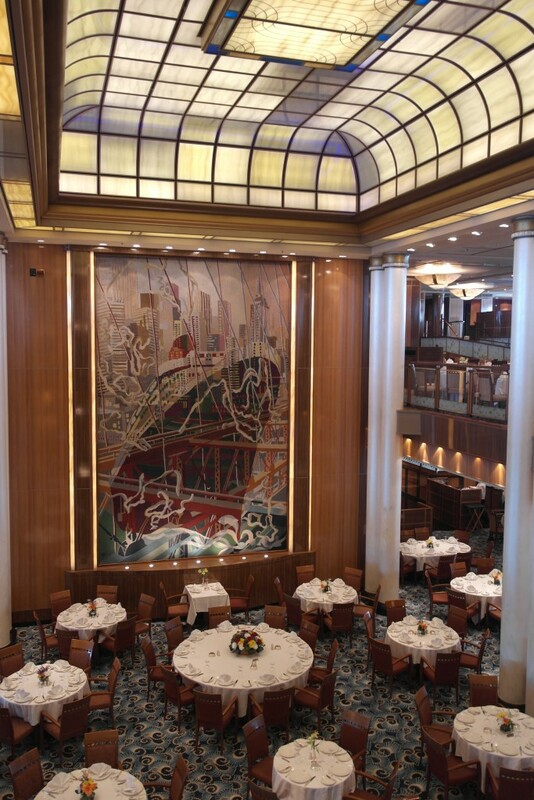 She is Cunard’s flagship and the most magnificent ocean liner ever built, combining Golden Age travel and modern luxury. 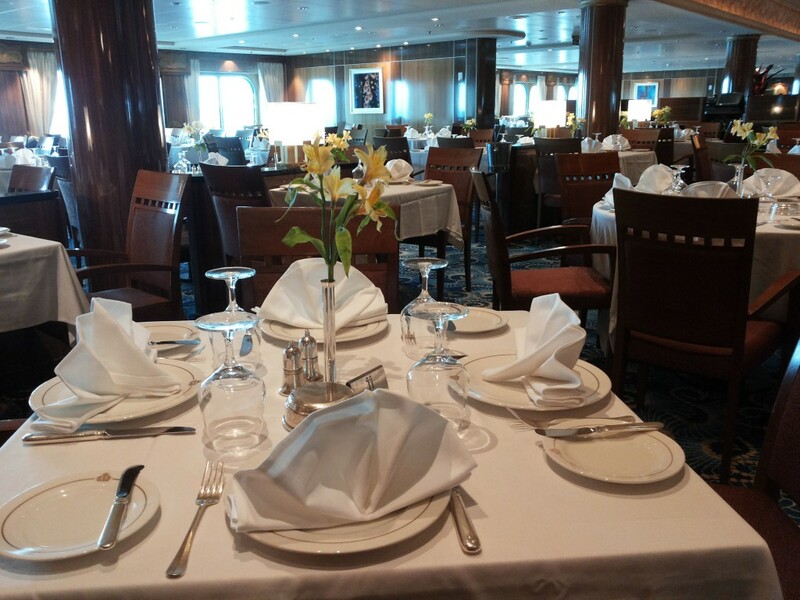 We had the opportunity to visit the ship and enjoy a wonderful lunch at the Britannia Restaurant. 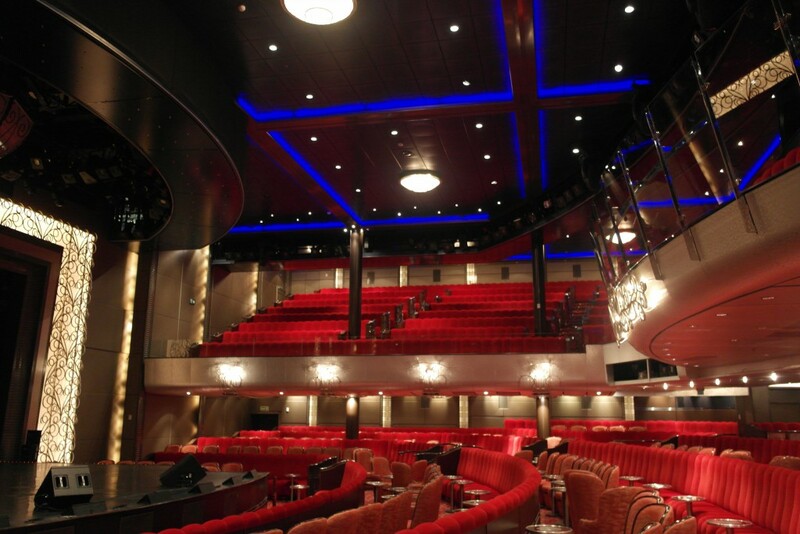 The 1,000 seat Royal Court Theatre is home to musicals and show productions performed by the Cunard Royal Dancers and Singers . 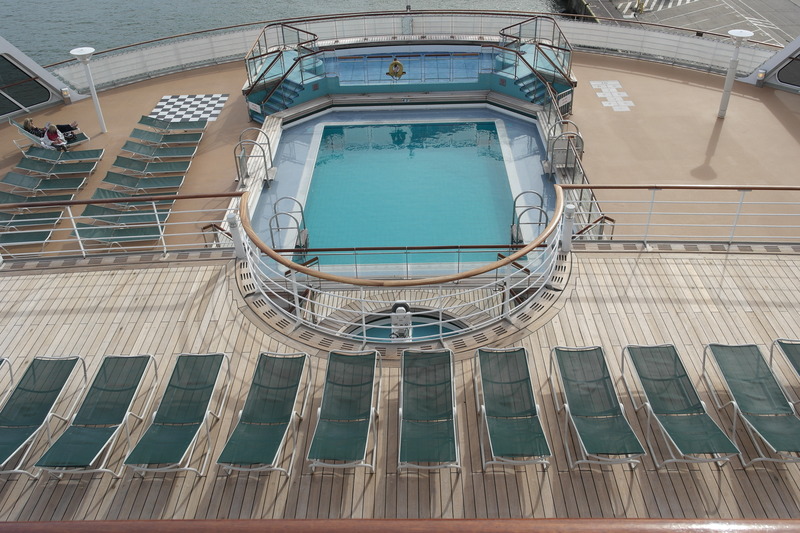 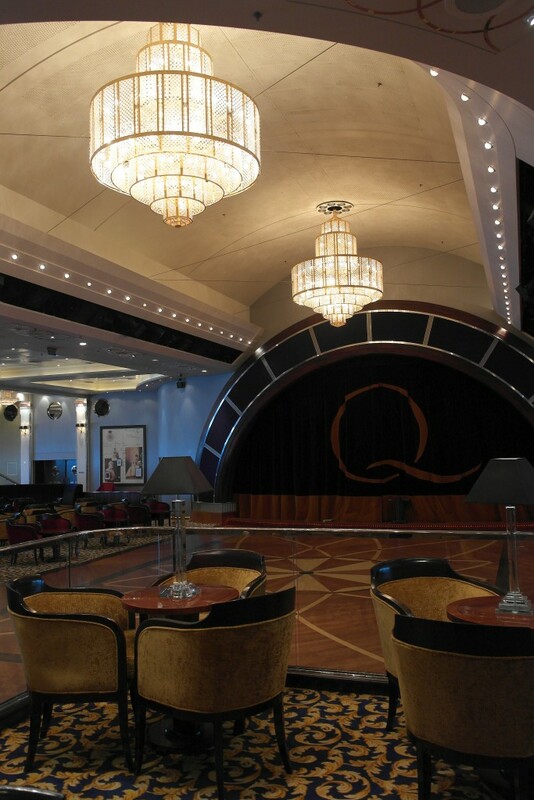 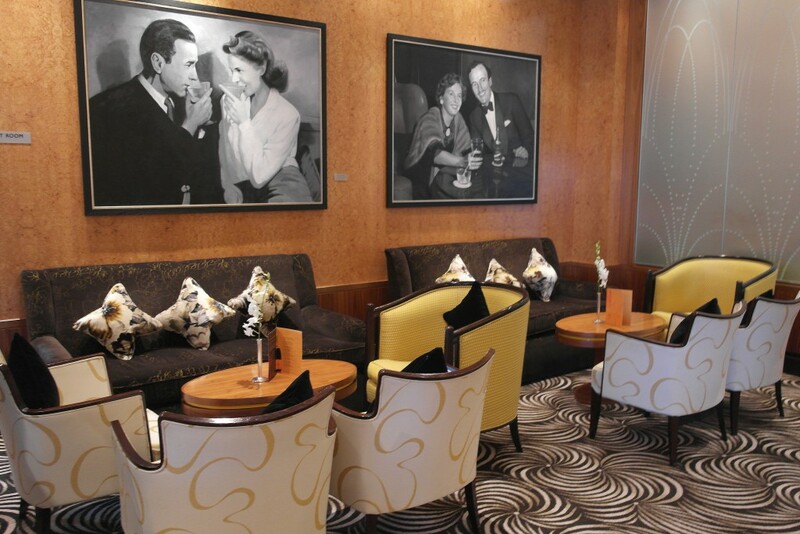 The Commodore Club overlooks the bow of Queen Mary 2 and provides glorious panoramic views. 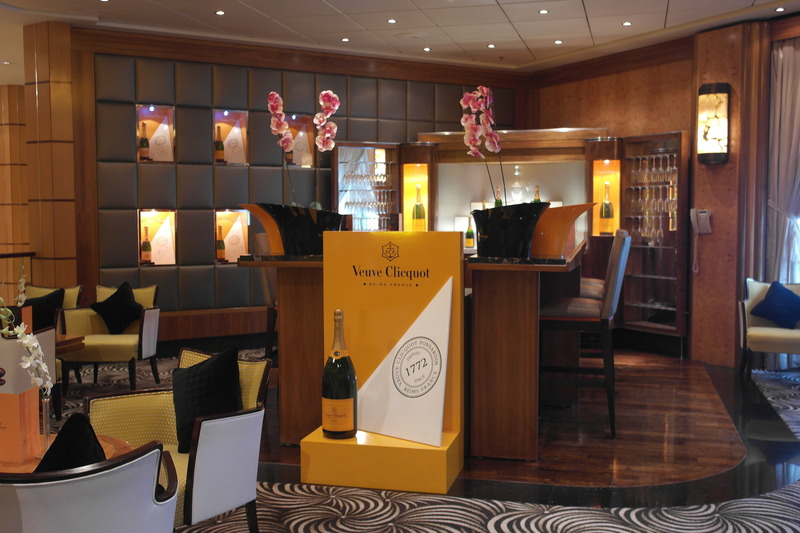 The Veuve Clicquot champagne bar would probably be one of my favourite places onboard. 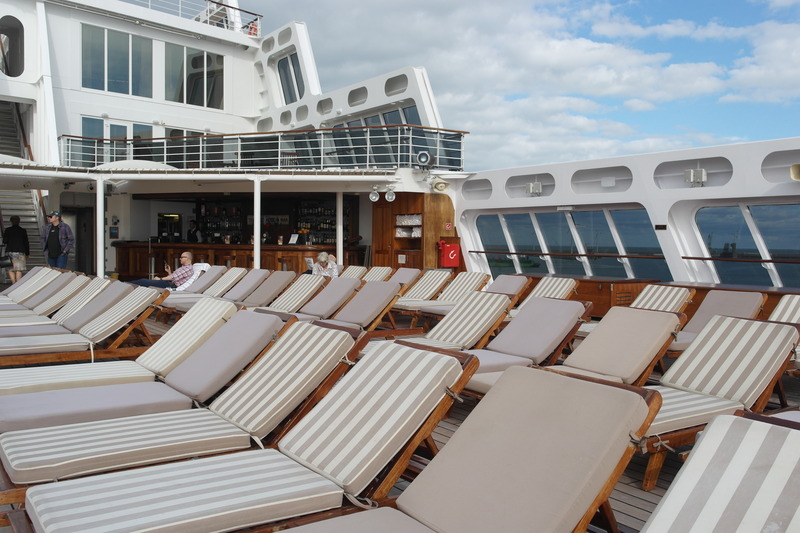 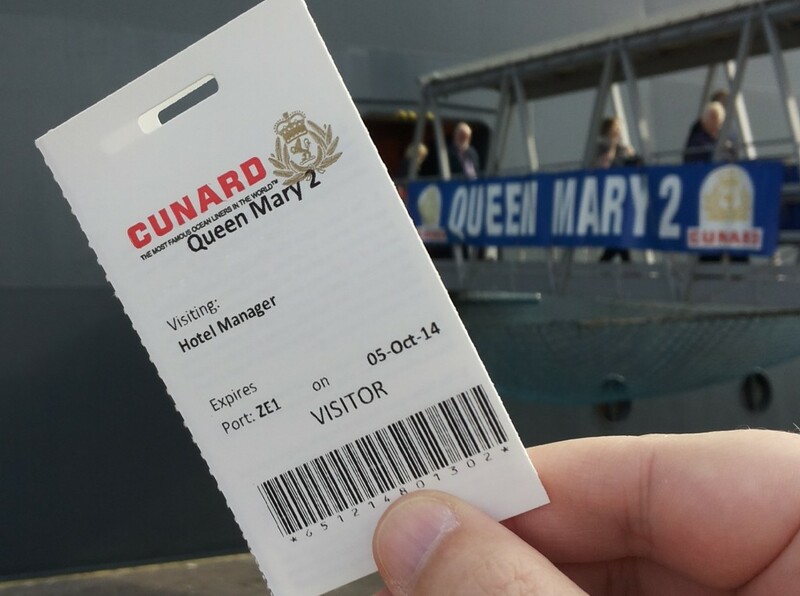 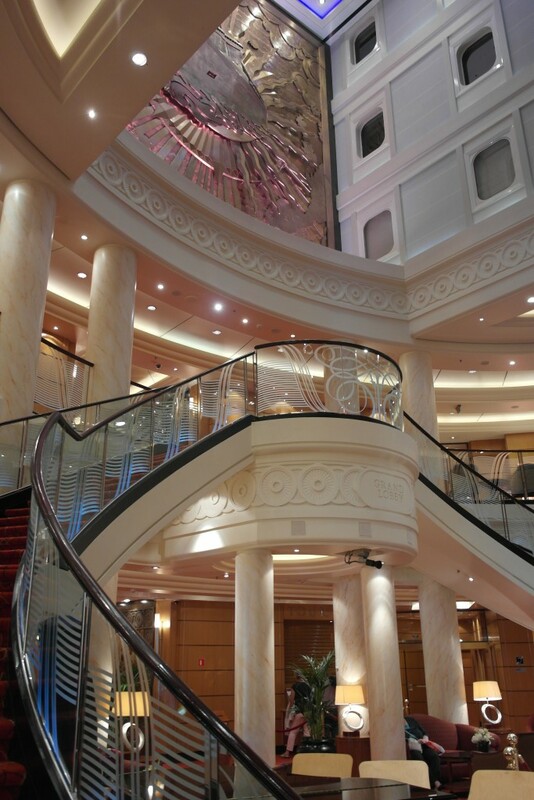 Unfortunately because the ship was fully booked we could not enter any of the staterooms. 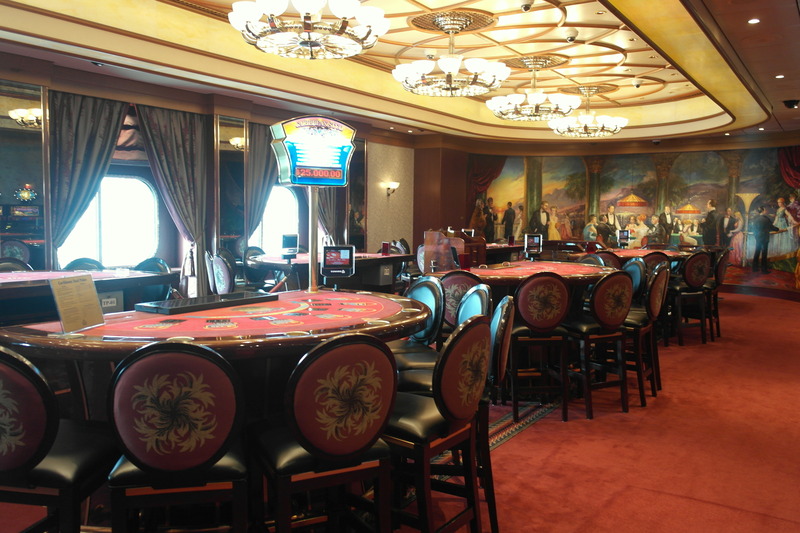 The Queens Room, the largest ballroom at sea with its high ceiling and beautiful crystal chandeliers, is the centre of social activity during the day and evening. 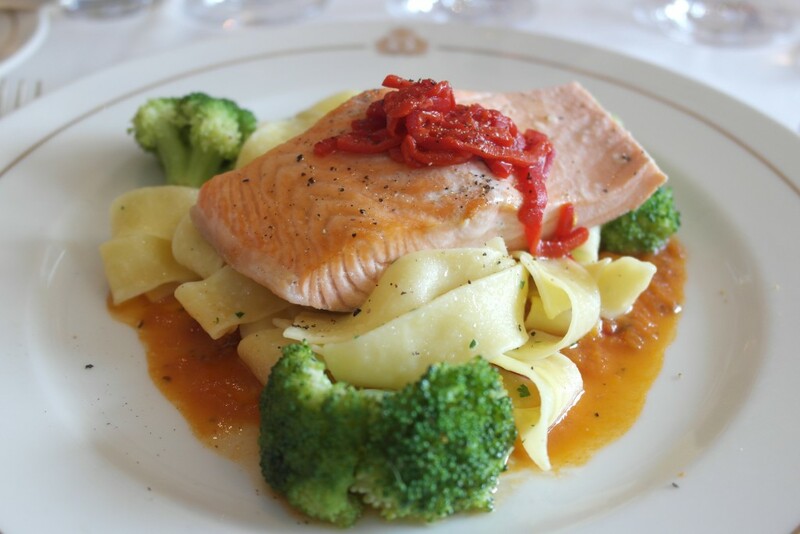 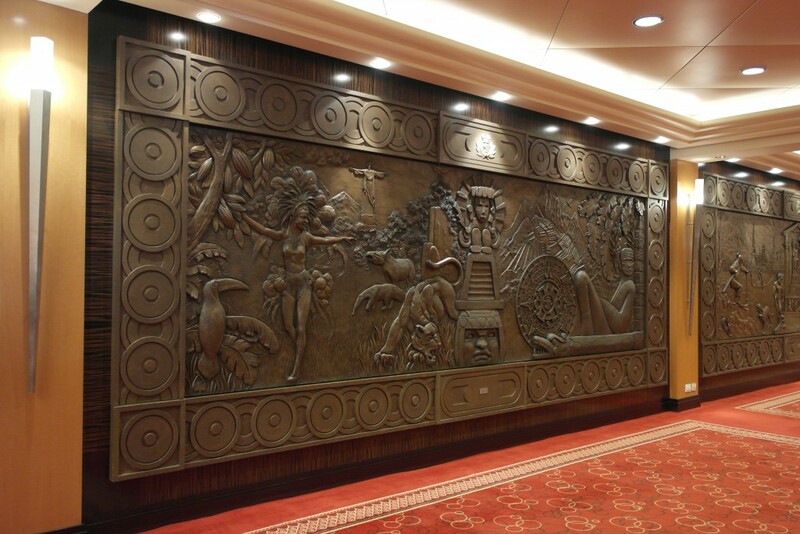 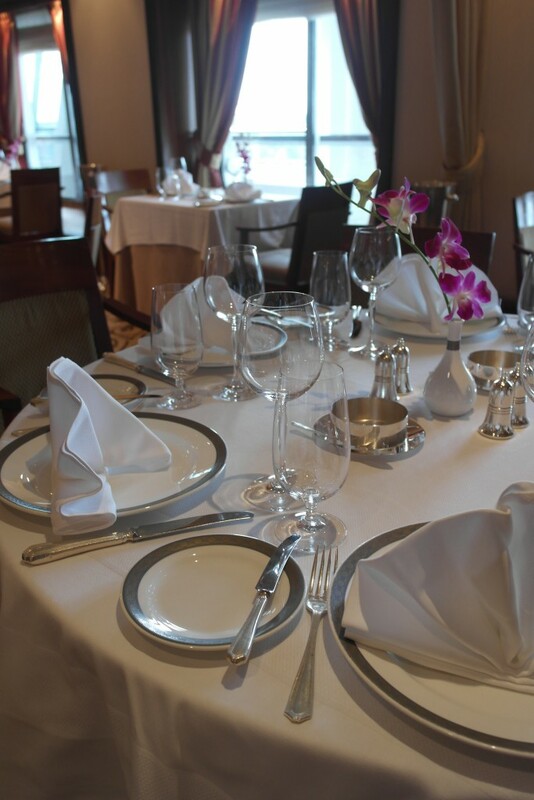 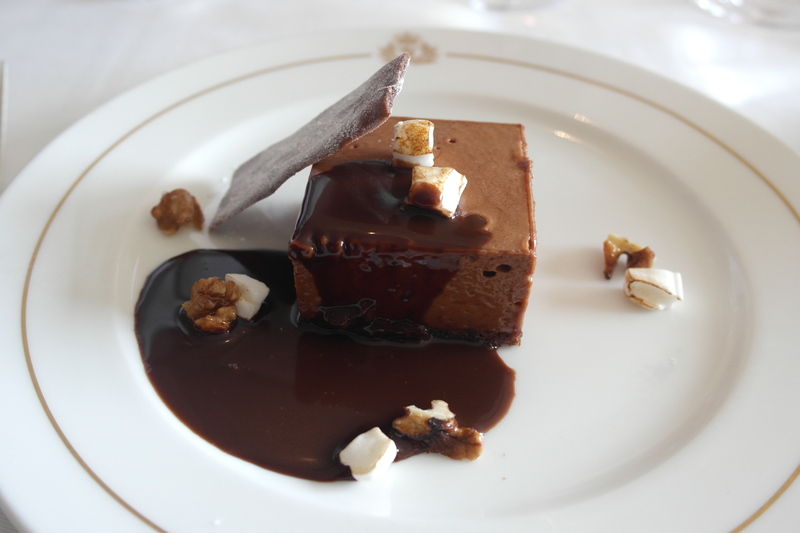 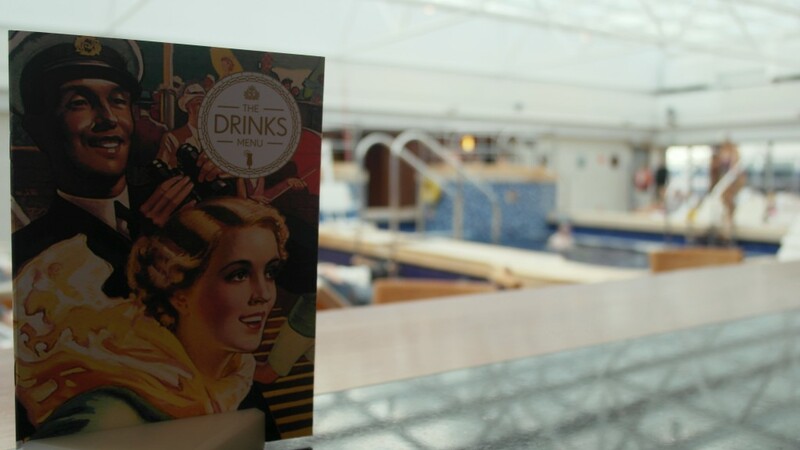 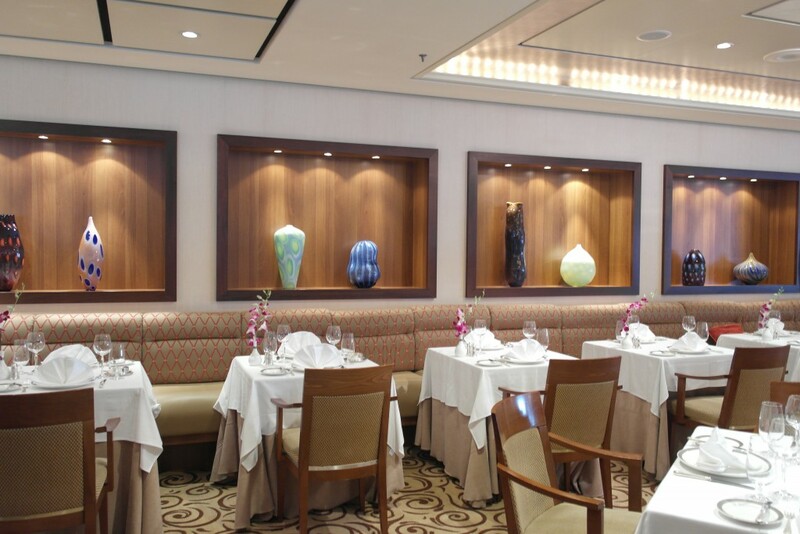 The Princess Grill restaurant, one of the main restaurants on board Queen Mary 2, serves breakfast, lunch and dinner. 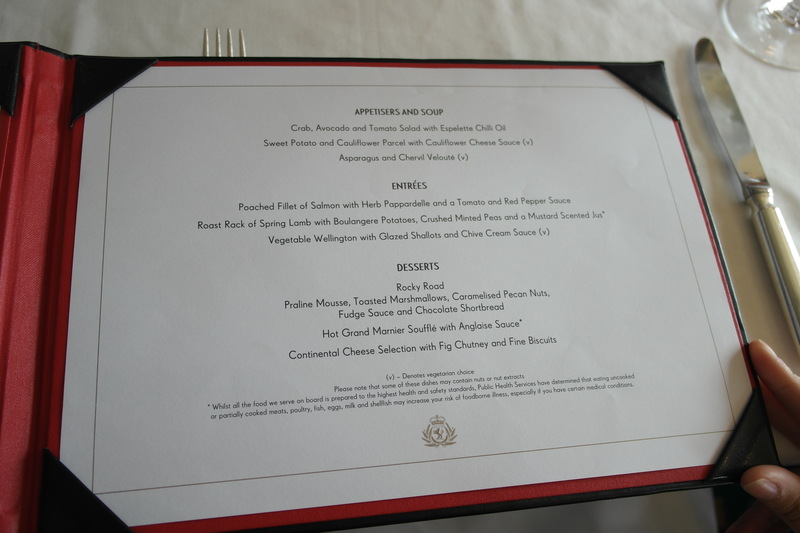 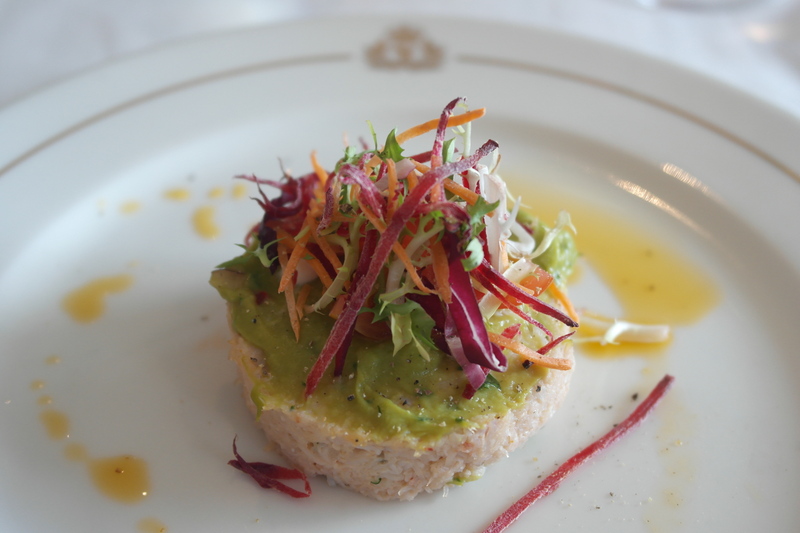 A delicious lunch was served in the Britannia Restaurant. 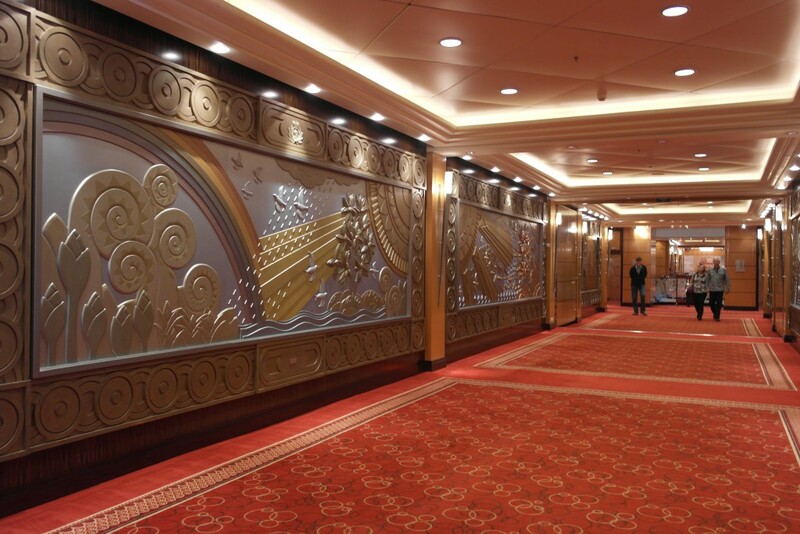 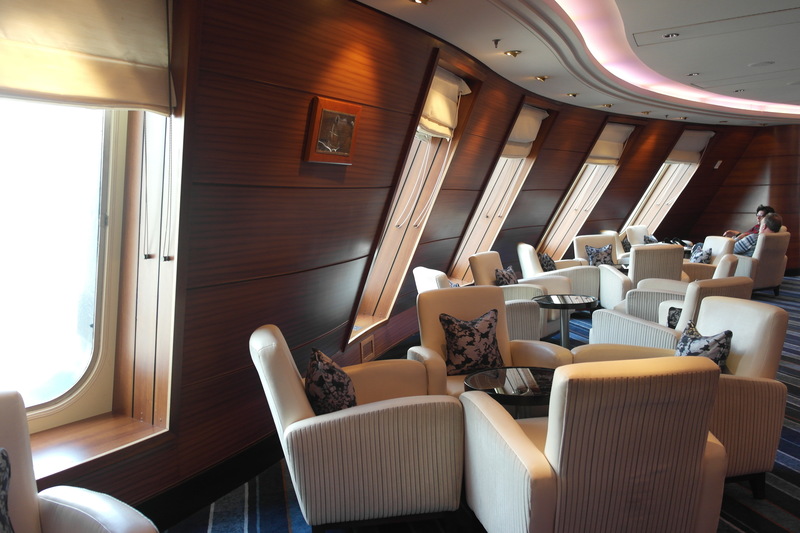 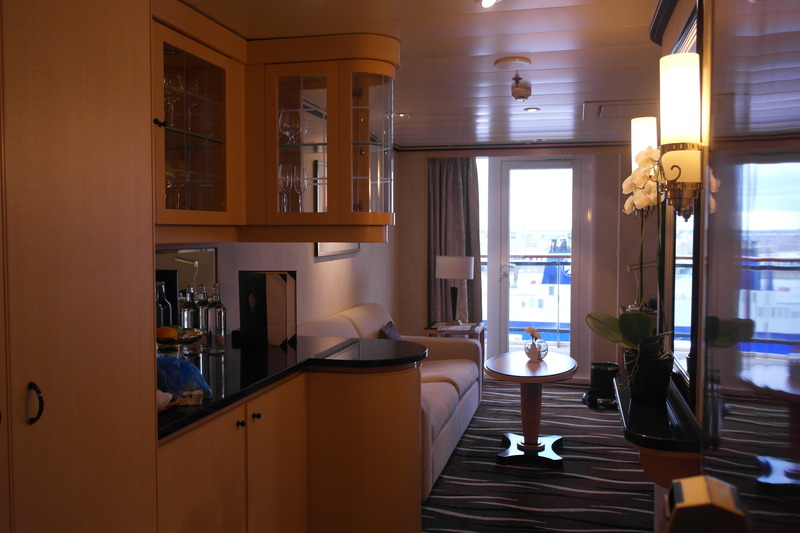 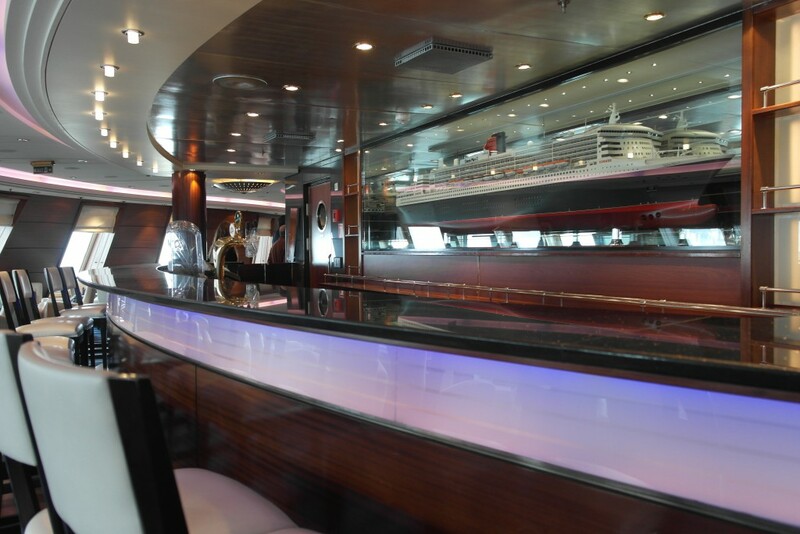 This is the largest of the ship’s main dining rooms, serving breakfast, lunch and dinner. We ended our visit to Queen Mary 2 with a final look at the outside of this grand lady of style and elegance, and the prospect of one day crossing the Atlantic onboard Queen Mary 2.